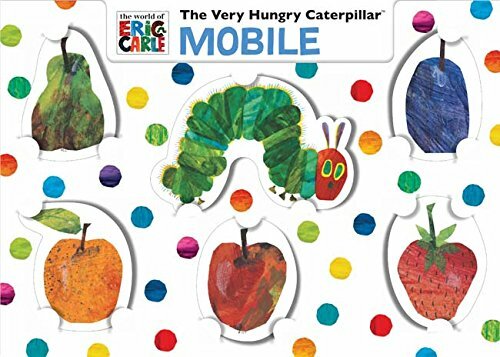 This fun, easy-to-assemble mobile kit features art from Eric Carle's beloved book, The Very Hungry Caterpillar. With eye-popping colour and a simple design, this mobile fits the bill for all kinds of decorating needs, from the nursery to the classroom- and beyond! Eric Carle is an acclaimed and beloved creator of brilliantly illustrated and innovatively designed picture books for young children. Since The Very Hungry Caterpillar was published in 1969, he has illustrated more than 70 books, most of which he also wrote.